NOTE: My bottom end was leaking gearbox oil which I was certain was coming from here. 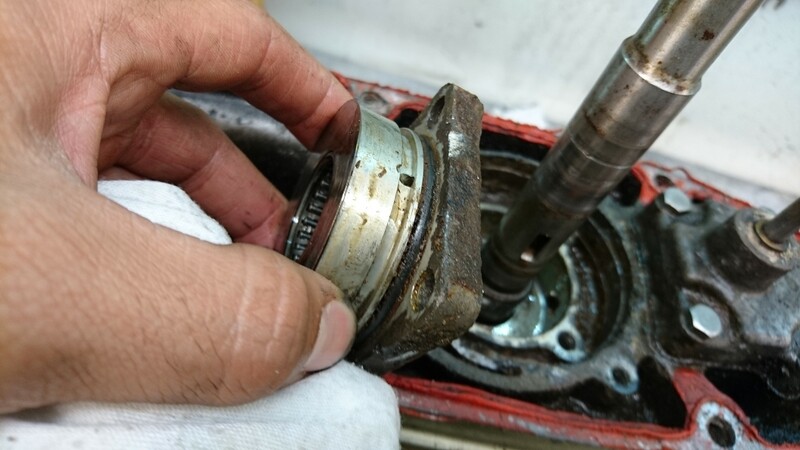 If you are just changing the impeller you do not need to remove this section or follow instructions here. Exposing the bearings. This is supposed to be sealed to water, but you can see the seal was broken.